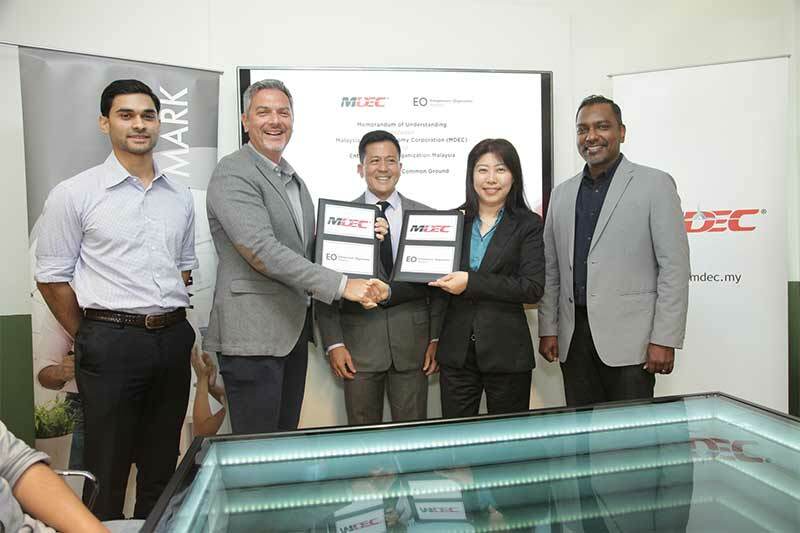 The Malaysia Digital Economy Corporation (MDEC), the lead agency in driving the digital economy in Malaysia, signed a Memorandum of Understanding (MoU) with the Entrepreneurs’ Organization Malaysia Chapter (EO Malaysia Chapter) on August 1. EO is a global, peer-to-peer network of more than 12,000+ influential business owners with 167 chapters in 52 countries. This is an extension of other collaborations and partnerships that the innovation regulator has put together with like-minded parties. The MoU addresses the aspirations of both parties to join forces in their bid to reaching out to as many businesses as possible, and encourage them to make the jump to digital as a means of preparing for the future, if they haven’t done so yet. “This ideal scenario is far from being fully exploited. If anything, this is the best time for businesses of all sizes and types to sprint to top as they push for true innovation and look at getting onboard with Industry 4.0,” Dato’ Ng Wan Peng added. For the EO Malaysia Chapter, the collaboration is its latest effort to expand a community of digitally enabled and tech savvy business leaders. By partnering with MDEC, the corporate business group will gain access to the necessary support for empowering its members. This includes access to digital adoption initiatives such as the Digital Discovery program, awareness events, Innovation Pulse and Executive Summit, Corporate Immersion programmes, and improving market and trend research work. This partnership aims to boost the digital capabilities of at least 30 member organisations of EO within two years. “Undoubtedly, there are multiple layers of synergies between EO Malaysia Chapter and MDEC that can be harnessed to help Malaysian companies enhance their competitiveness. What we are signing today also reflects the EO mission charter and further reinforces our goal to engage leading entrepreneurs and enable them to learn and grow,” said Mark Chua, President of EO Malaysia Chapter. This year, MDEC has launched several initiatives aimed towards developing the digital economy in Malaysia. The Digital Free Trade Zone (DFTZ) was launched in March. The Malaysia Digital Hub (MDH) and the Malaysia Tech Entrepreneur Programme (MTEP) were established in April to support tech start-ups. The fourth approved hub was announced recently. The ASEAN Data Analytics Exchange (ADAX) was established to facilitate the rapid adoption of data analytics and build a talent pool. MDEC also rolled out a mobile learning unit under the national #mydigitalmaker initiative with the mission of creating exposure and opportunities to digital education for some 100,000 students in rural, sub-urban and underprivileged schools.